#DrivinMissDaisy…a Real Estate Agent, her 🚲 and her beautiful 🐶, Daisy! 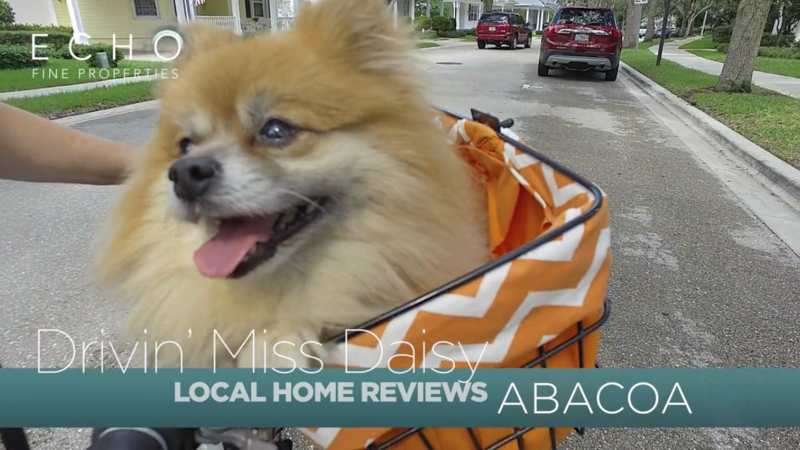 Agent Juli McGriff is taking us on a tour of Abacoa Through Daisy’s Eyes…see the beauty of Abacoa and the homes there…Find out if Daisy really does like squirrels & who Rufus is…Join Juli & Daisy for more episodes in the future! Share this post with your friends and family if you think that Daisy is just so stinkin’ cute! Posted in Abacoa, Abacoa real estate, Echo Fine Properties, Jeff's Team, Jupiter, Jupiter homes, Jupiter real estate, Palm Beach, Palm Beach County homes, Palm Beach County real estate, Palm Beach homes, Palm Beach Post, Palm Beach real estate, Real Estate, Videos on November 30, 2017 at 6:41 am.